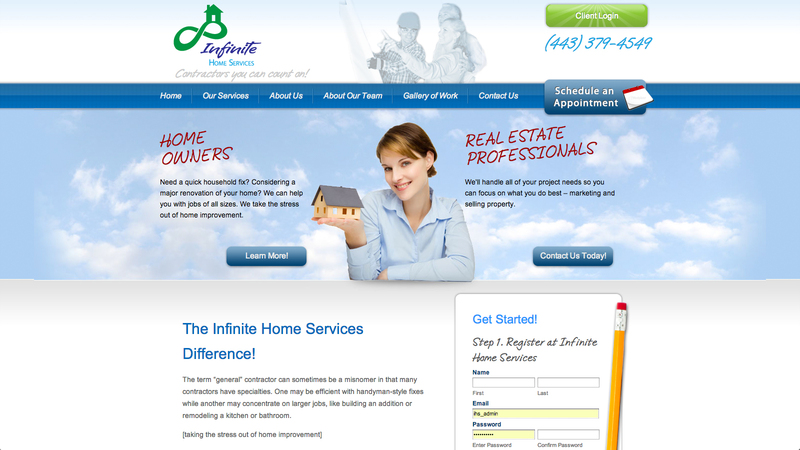 Infinite Home Services is a large website with a very powerful custom project management system that allows contractors, home owners and management to easily communicate and track projects. This website is part traditional contractor’s site and part membership website. It’s an interesting mix and will prove to be a game changing tool for this company. 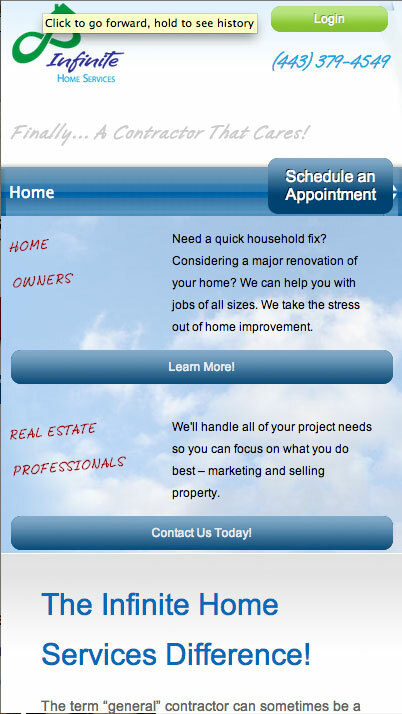 Visit this Maryland contractor and home improvement website website.